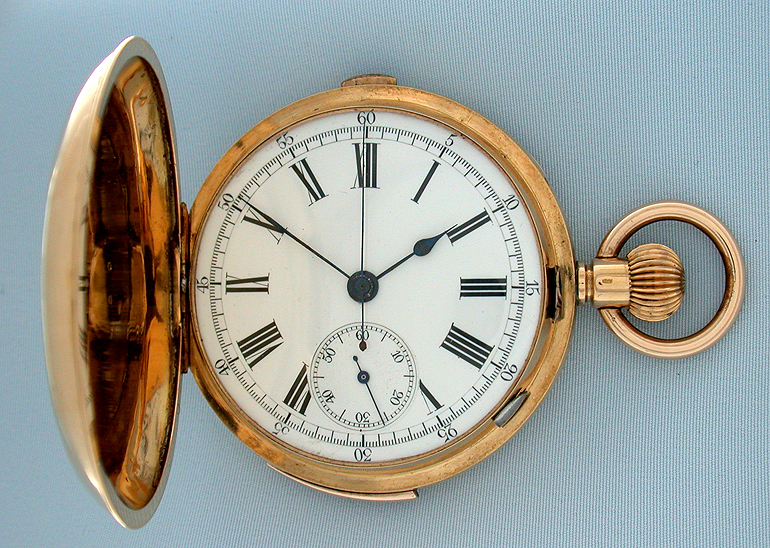 Swiss 18K gold minute repeater chronograph circa 1890. 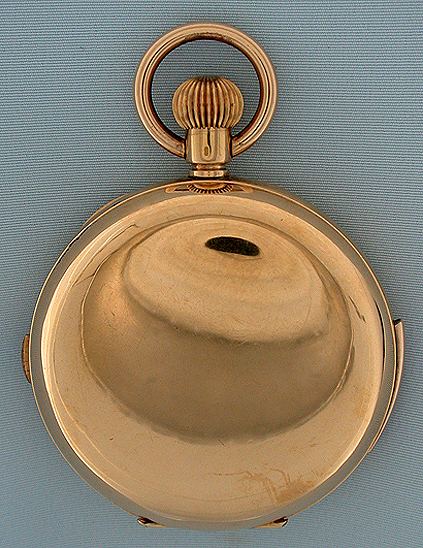 Plain polish hunting case with repeater slide and chronograph button in the band. White enamel dial with blued steel hands. 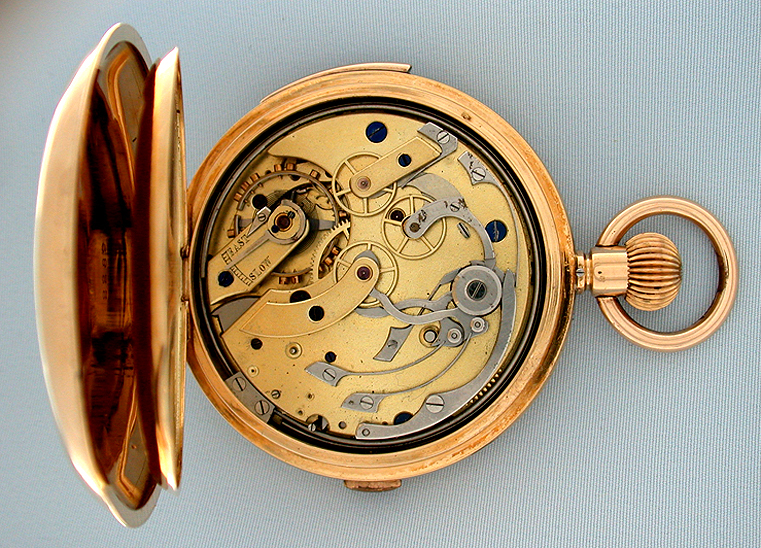 Gilt 17 jewel lever movement with the chronograph works visible on the back plate. Excellent example with loud, clear tone.